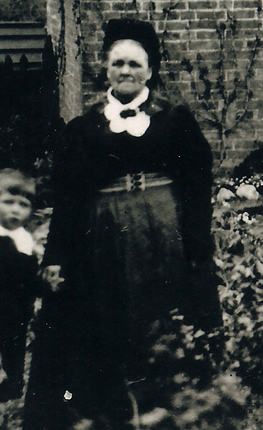 My 4x Great Grandmother Mary Clarke ends up in the workhouse in 1851, but her family is scattered across Suffolk. It’s unlikely that anyone would have wanted to go to the workhouse unless they’d lost all hope of finding support elsewhere.. but after two illegitimate children (Caroline and Edward Clarke), and an 1838 marriage to widower Mr William Bailey, Mary Ann Clarke and her family ended up in the Hartismere Union – which had workhouses at Eye and Wortham, Suffolk. Mary is notably missing from the family nest in the 1841 census (no idea where she went! ), but the rest of the new family are present and living together at Back Hills, Botesdale. The family must have hit on hard times, as they are broken up by the time the 1851 census arrived. It’s unclear at the moment as to when the family entered the workhouse, but the births of a series of children may provide the clue as to the date after viewing their birth certificates. I’m assuming that at least one – Alfred – was born at the workhouse. The 1851 census shows that Mary (39) and her youngest children Ameila (5), Francis (4), and Alfred (1) are living amongst the inmates of the Eye Workhouse. On another census folio, her husband William (45) appears. It was common practice to keep the men and women separate, although young children were often kept with their mothers until they were old enough to enter the houses of industry, or the boys were old enough to move into the mens part of the compound. Over in Botesdale, and at the Ling House of Industry, was Mary Ann’s oldest (and illegitimate) son, Edward (14), having adopted the Bailey surname. He’s listed with other boys, some as young as 6yrs old. His step-sister, a daughter from William Bailey’s first marriage to Sarah named Louisa (18), is also in there too. The whole family is caught in the workhouse system… except for one – Caroline. Caroline, my ancestor, and Mary Ann’s first illegitimate child, has escaped the workhouse. She’s the breadwinner in a way at the age of 17, although she’s far away from the family in Littleport, Cambridgeshire. She appears on the 1851 census at Mildenhall Road, Littleport, as a ‘House Servant’ at the home of Henry Flowers – a farmer of 250 acres and employer of 10 labourers. She too has adopted the Bailey name, and it’s this job as a servant that saved her. In 1861, things are on the up. William and Mary appear on the census at Botesdale Street, aged 56 and 46 respectively. William is noted as an ‘Agricultural Labourer’, as is his 18 year old son Philip. Included in the household are Fanny (13), Alfred (11) and Charles (9). Living next door is son Ellis Bailey (21). By 1871, William Bailey has died, leaving Mary Bailey as the head of the household. She appears on the 1871 Botesdale census as a 60yr old widow with her sons Philip, Alfred and Charles. But by 1881, Mary, noted as a 68 year old widow and working as a housekeeper… is back at the Union Workhouse in Eye, Suffolk. Today, the site of the Eye Workhouse, which was built in 1835 on Castle Hill (see map 1904 map below), shows no sign of its former workhouse architecture. In fact, modern development has hidden this piece of history with a number of houses. Map showing location of Hartismere Union Workhouse at Eye, Suffolk in 1904. The only slightly positive thing was that the family eventually left the workhouse and were able to support themselves for a few years before Mary returned there some 30 years after she had first arrived. The workhouse had a purpose, and whilst conditions were undoubtedly grim for anyone that entered through their doors, they provide some basic conditions – food, clothes, a roof, and basic healthcare that would certainly have helped to keep the Bailey family alive. I hope to visit a Norfolk workhouse at Gressenhall soon, and to delve further into what life may have been like for the Bailey family 150+ years ago. Update: I did find where Mary went in 1841, and it was totally unexpected, and it unravelled a sad story that made me question how I felt about her.